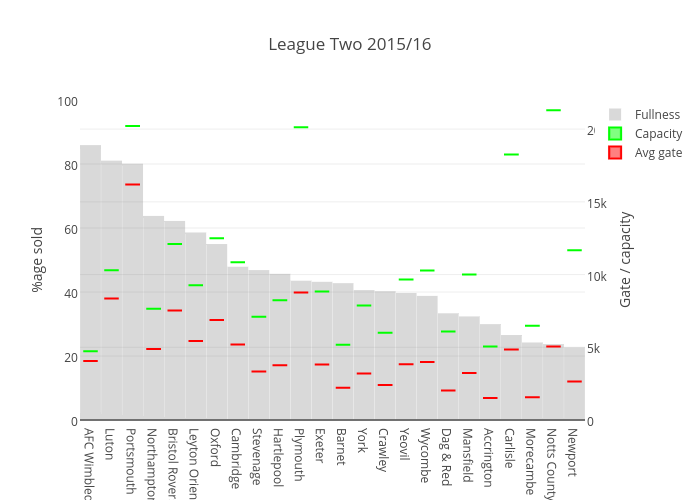 Garyparkinson's interactive graph and data of "League Two 2015/16" is a bar chart, showing Fullness, Capacity, Avg gate; with %age sold in the y-axis. The x-axis shows values from -0.5 to 23.5. The y-axis shows values from 0 to 100.